L’Interdit was originally a fragrance comissioned by legendary couturier Hubert de Givenchy for iconic Hollywood actress Audrey Hepburn. Launched in the 1950s and created by perfume Francois Fabron, L’Interdit was an aldehydic floral bouquet of the kind that is seldom found in this day and age. Its name, ‘The Forbidden’, is a reference to its initial exclusivity – it was Audrey’s perfume and for anyone else to wear it was, well, just not allowed. Of course, L’Interdit did not remain forbidden for very long and soon became one of Givenchy’s most famous fragrances. Over the years it has seen a number of incarnations, most notably last year when Givenchy worked with perfumers Dominique Ropion, Anne Flipo, and Fanny Bal to create an entirely new fragrance composition bearing the L’Interdit name. The simple elegance of a decent eau de cologne is one of the greatest things in the whole of perfumery. That tension between citrus, flowers and herbs (and now in modern times, musks) is a sparkling tonic when the mercury rises. In fact, the purity of a good eau de cologne transcends seasons and can be the perfect thing to wear at any time and on any occasion. To put it simply, when eau de colognes are good, they’re very good, and even when they’re bad they’re still pretty good! Givenchy Live Irrésistible Délicieuse. The brand new scent, reviewed. On Escentual. Clicky here to read. 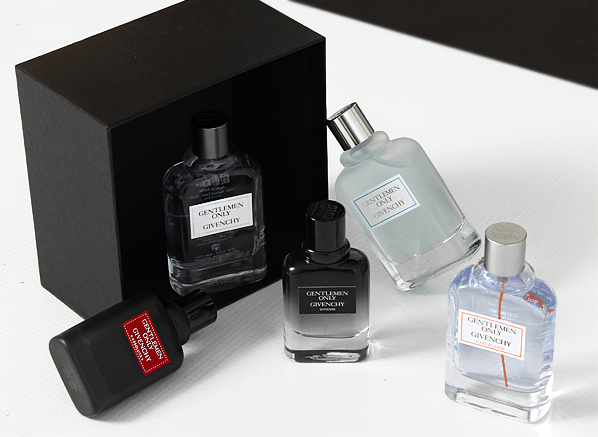 As far as masculine fragrances go, few are more iconic than Givenchy’s Gentleman. It’s a perfume evocative of hairy chests, gold watches and sharp suits, created in a very ’70s style. Gentleman is nothing short of a classic and Givenchy have been keen to capitalise on the ‘Gentleman’ name with flankers, specifically with last year’s Gentlemen Only and now this year’s Gentleman Only Intense. For my Escentual column this week, I’ve taken a look at the new Gentlemen Only Intense, a slightly richer take on the fresh aromatic signature of the fragrance launched last year. You can read my review by clicking here and there’s also a competition too, in which you can enter to win the Intense 100ml Eau de Toilette Spray, the Gentlemen Only 100ml Eau de Toilette and the matching Deodorant Spray. 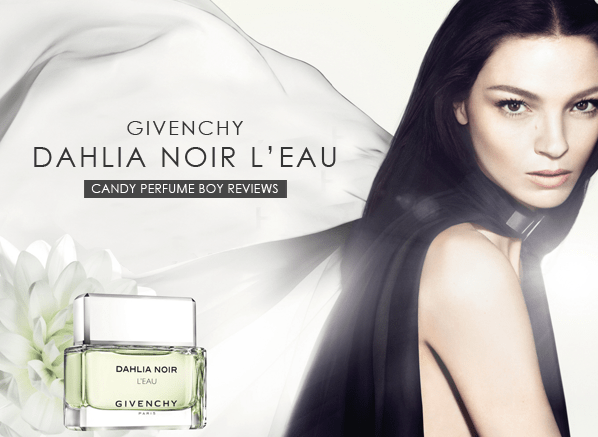 This week’s Escentual post is a review of a fragrance that took me wholely by surprise – Dahlia Noir L’Eau by Givenchy. The original Dahlia Noir made next to no impression on me whatsover (very much in line with most Givenchy offerings) and I am, as you know, not a massive fan of anything remotely green – so it is with great surprise that I give a big thumbs up to Dahlia Noir L’Eau! Please click on the image above to head over to Escentual.com and read the full review. Don’t forget to leave a comment!